This package will allow you to attend 5 concerts of your choice, please contact us at our offices by phone at (734) 451-2112 or by email at [email protected] to let us know which concerts you would like to attend. We will then mail you your tickets, or if you would like we can hold them for you at will call. 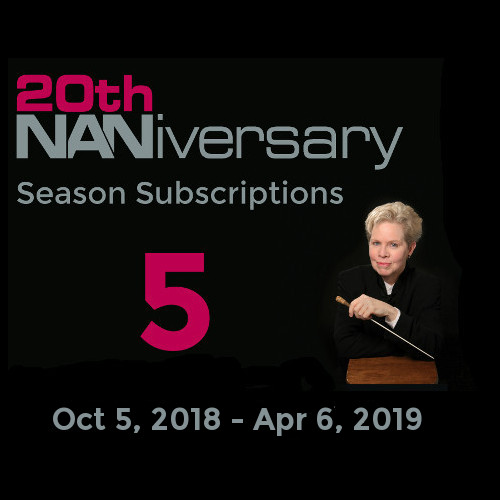 We want to make it easy for you to enjoy Michigan Phil concerts and have several options to help you design your own season ticket package. Mix and Match: You can mix and match the tickets any way you like. To design your personalized season package please call us at 734.451.2112. Opening Night: Happy 20th NANiversary! In the Mood for Swing! © 2019 MichTix. All rights reserved.